A 43-year-old Albany man was sentenced to 45 years in prison on various charges by a Houston County jury Friday. According to a news release from the Houston County District Attorney's Office, Leroy Wilson III was convicted on attempted armed robbery, aggravated assault, entering an automobile and criminal damage to property charges. The release states because of Wilson's previous felony convictions, he is to serve every day of the sentence. Last May, Wilson allegedly attacked an employee of Smokes 2 Bar and Grill on Russell Parkway as she was opening the bar. The release states he tried to rob her at gun point, but she was able to get away. He then ran after her and held the gun to her head as they struggled. She was able to get away again, the release states, and Wilson then stole a tote bag from her car. As he was leaving, he turned and shot towards the woman, damaging her car. A mother and her daughter, having lunch in her favorite restaurant. What could go wrong? "You can have a baby being nursed or you can have a screaming baby. It's up to you which one you prefer," said new mom, Courtney Canela. A family left to pick up the pieces after a fire claims the life of a loved one. 34-year-old Terrance Files was killed in the fire. "I'm at a loss for words right now, because this is just so unexpected. My brother was a loving person. He was quiet. He kept to himself, very outgoing. He loved me and my mom and our kids and my husband," says Terrance Files sister, Tiffany Duval. Search warrants executed at several Warner Robins homes resulted in five arrests on drug charges. According to a news release from the Warner Robins Police Department, the searches happened around 8:30 a.m. Monday at homes on Virginia Dare Drive, Hidden Creek Circle and Kinley Ann Court. Their charges include several counts of possession with the intent to distribute schedule I, II, III, IV and V drugs. Durham was also charged with two counts of possession with intent to distribute within 1,000 feet of a school. The Houston County Sheriff's Office, the Perry Police Department and the Houston County District Attorney's office all assisted in the case. 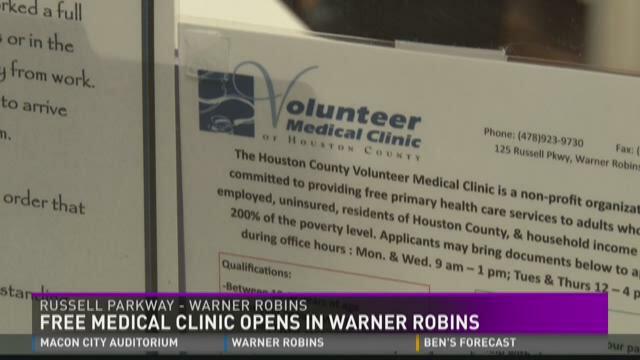 A non-profit clinic that provides free medical care to working, uninsured people in Houston County reopened today after renovations. The Houston County Volunteer Medical Clinic celebrated with a ribbon cutting. Their doctors and nurses provide primary care services two nights a week. The clinic relies on volunteers and donations. The Warner Robins Police Department is searching for a suspect in an armed robbery that happened at a gas station on Leverette Road. According to a news release, it happened around 9 a.m. Saturday at the Sunoco Fuel gas station. Police say the suspect robbed the clerk at gunpoint and fled with an undisclosed amount of money. No one was injured. The suspect is described in the release as between 35 and 40-years-old, between 6' and 6'1" in height with a slim build. He was last seen wearing a gray hoodie, a blue button up shirt, dark blue or black pants, black gloves and with bright blue New Balance tennis shoes. Anyone with any information on the suspect's identity and whereabouts can call Macon Regional Crimestoppers at 1-877-68-CRIME or Det. Justin Clark with the police department at 478-302-5380. 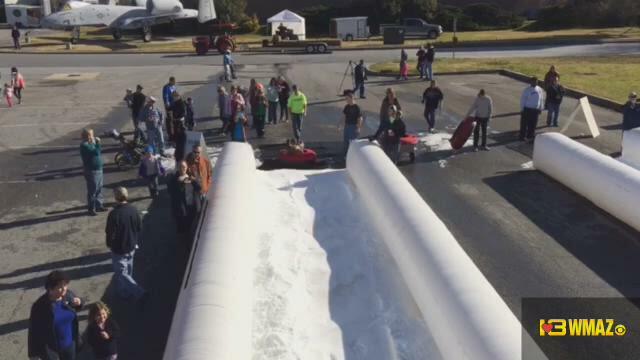 The Winter Wonderfest was held at the Museum of Aviation in Warner Robins this weekend. The event included winter-themed activities for adults and children such as two 65-foot snow tubing slides, bounce houses and a good truck vendor festival. Elsa from the Disney movie "Frozen" also made an appearance.